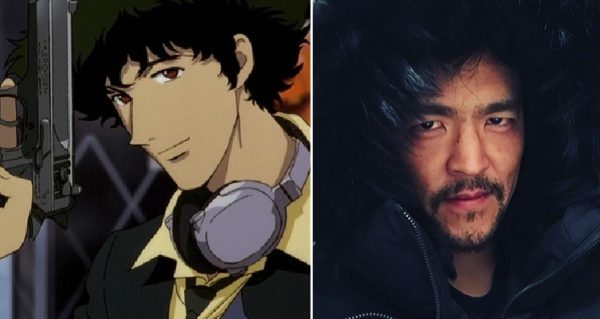 While the ‘Cowboy Bebop‘ live-action film is currently stuck in development hell, the live-action series for Netflix is moving on along. Recently the main cast was revealed to include John Cho, Mustafa Shakir, Daniella Pineda, and Alex Hassell, according to Variety. Radical Ed will also appear, but casting that part hasn’t been done yet. Normally I’m quite pessimistic about these adaptations, but I’m looking forward to this one as I have some vague level of confidence Netflix might do it some form of justice. Netflix picked up “Cowboy Bebop” for 10 episodes back in November. The series is described as the jazz-inspired, genre-bending story of Spike Spiegel, Jet Black, Faye Valentine and Radical Ed, a rag-tag crew of bounty hunters on the run from their pasts as they hunt down the solar system’s most dangerous criminals. They’ll even save the world for the right price. Shinichiro Watanabe, director of the original anime, will serve as a consultant on the project. Christopher Yost, who previously penned “Thor: The Dark World” and “Thor: Ragnarok”, will write the first episode and executive produce. Andre Nemec, Josh Appelbaum, Jeff Pinkner, and Scott Rosenberg of Midnight Radio will serve as executive producers. Yasuo Miyakawa, Masayuki Ozaki, and Shin Sasaki of Sunrise Inc.– the studio behind the original series–will also executive produce along with Marty Adelstein and Becky Clements of Tomorrow Studios, Tetsu Fujimura, and Matthew Weinberg. The series is a co-production between Netflix and Tomorrow Studios, with Netflix handling physical production.